Pressure cook the veggies with required amount of water until soft. Peel off the skin of potatoes ,mash it well and add the other veggies to it. Then add finely chopped onions, Crumble the bread with your hands and add the bread to the veggies.Add ginger garlic paste, red chilli powder, garam masala powder, coriander leaves and required salt. Mix well and saute it in a nonstick pan with a tsp of oil till the onions turn soft and the masalas raw smell leaves, it will take just 5mins. Switch off and cool down. Add lemon juice and mix well to form a dough.Make equal sized round balls and slightly press it between your palms to make it flat.Keep aside.Now in a seperate plate, mix maida and water to form a thick paste. Now dip each cutlet in the paste such that both sides are coated well. Then coat it with breadcrumbs as show in the below pic.Repeat the same for all other cutlets too. You can deep fry them or toast the cutlets(like what I did) till crispy.Serve the cutlets hot with tomato sauce. I am sure this is a kid pleaser, you can make innovative shapes and impress the kids. Any fussy eater will sure like this cutlet and ask for one more. 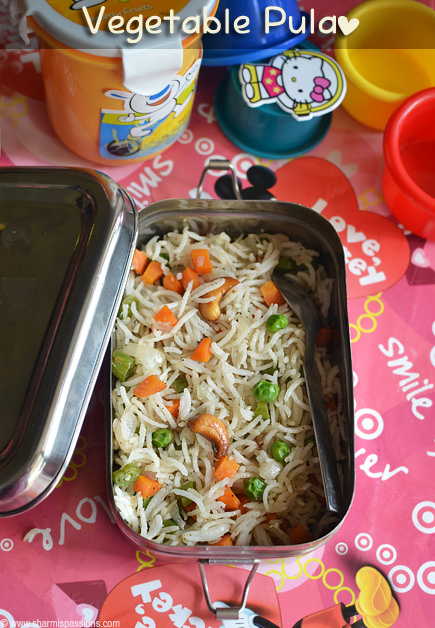 You can make this as a tea time snack for kids and serve them hot with tomato sauce – yum combination. 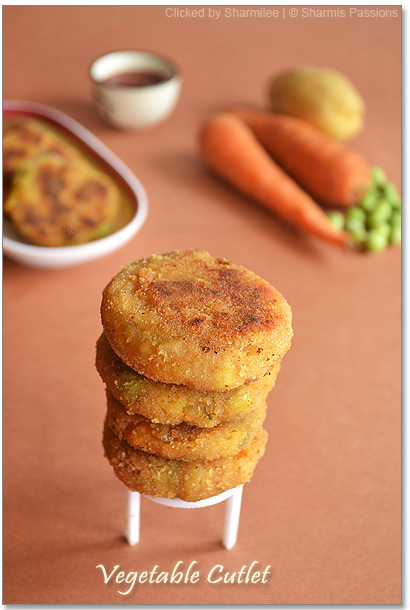 As all the veggies are added and if you toasting it then what more do you need – Its a tasty and healthy evening tea time snack.Enjoy ur cutlets guiltfree. You can also add beetroot for a nice color. Those who like eggs can use egg for coating and then dip them in breadcrumbs. You can prepare the cutlets before hand and refrigerate them, and toast/deep fry when you want it to serve hot. I have tried a day prior to the guests arrived and it was good. So make sure you make the cutlets only a day prior and not more than that as the veggies will get spoiled easily. 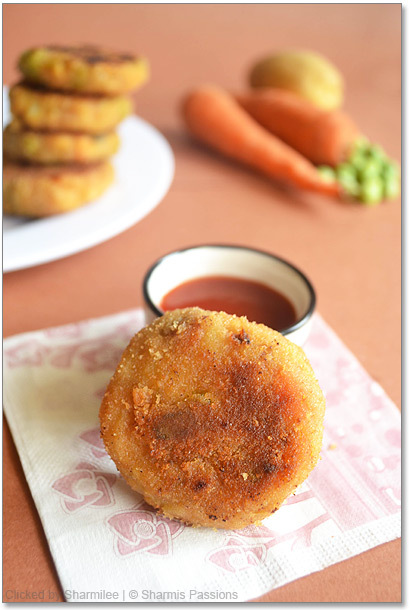 Cutlets looks well done and a good snack for kids to feed them some veggie's this way.. It's my all time fav.. I get nostalgic whenever I see someone posting cutlets as it somehow reminds me of my childhood.Whenever craving strikes,I make a big batch and freeze it so that I can have it at my fancy.I follow almost the same recipe,but with beetroot.Lovely pics as usual,the cute li'l stand,is that the one which comes with pizza? Hey Divya, could you tell me how do you freeze the cutlets , before frying them or after frying them ? which way is suggested. 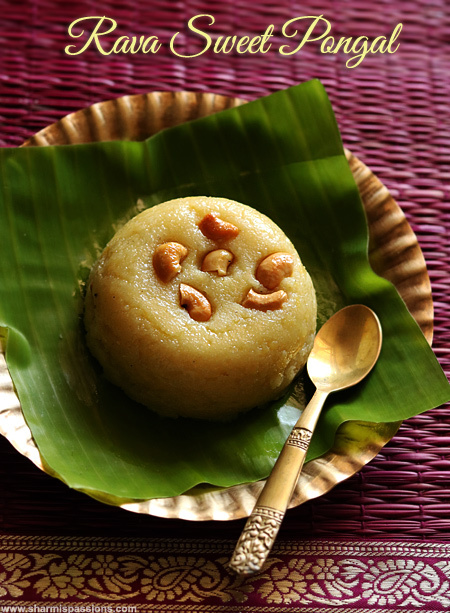 Looks so delicious and yummy.Love the clicks. Looks awesome. I love your clicks. DO you use any photo editing software? Or are the pics directly from your camera? Woww.. Looks soooper delicious and perfect.. thanks for the recipe dear !! @Raksha : Yes I use Photoshop CS3 for some minor editing. i too like his vegetable cutlet. Delicious and yummy. Nice idea to shallow fry them..
Love cutlets simply with ketchup, they looks fabulous and prefect..
Hi dear….how do u freeze cutlet ….its after fry or ….before fry. Love veg cutlets, and it reminds me of the fun time we had in Indian Coffee house and yours look so so good. Love those little beauties..Cant resist this cute yummy treat!! 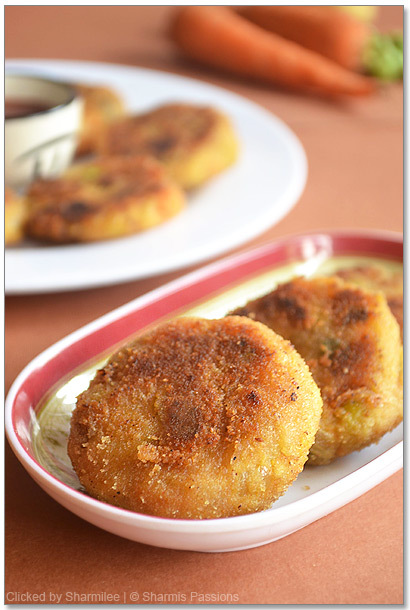 Lovely clicks.. and perfect cutlets..
Cutlets in any flavor = my comfort food!! 🙂 Lovely presentation, as usual. Soooo very PERFECT….. lovely pics too as usual… love your li'l one's cute idea… that pic looks good..
these cutlets just makes to drooling!! Aaahhh that little stand is cute! my fav too from childhood..cutlets look so yummy n delicious..
Cutlets look perfect and amazing! Delicious cutlets. 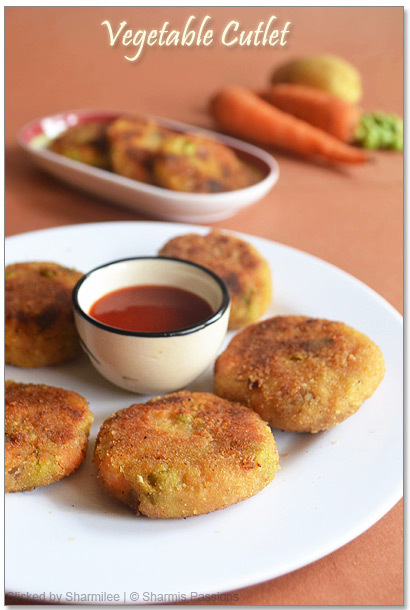 Awesome clicks as usual..
very tempting and delicious cutlets..
Awwww…love the little stack of cutlets- awesome pics! I read this post today while travelling back to home on train, was so tempted that I made this as soon as I reached home. Came out wonderful. My kids also loved it. Thanks for posting a healthy and tasty recipe. Can I bake these cutlets? Also, can I omit the egg for coating and just add bread crumbs so they stay well put in the oven as they are baking? I've tried using cooking oil to deep fry them and they are awesome but I started baking more for healthier versions. @Anon: Yes eggs are just optional…I havent used them too. 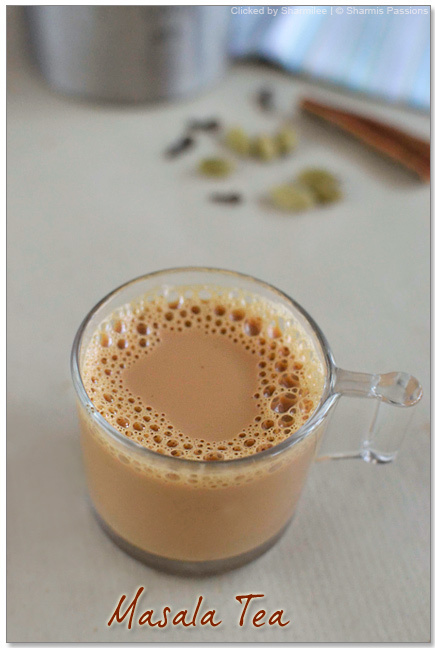 Ye you can bake them too but am not sure of the temperature and timing, may be you can try and see….else you can toast them in dosa tawa like what I've done which consumes less oil too. What canI use instead of bread crumbs, as i dont have oven? You can get readymade breadcrumbs else get rusk and powder it. If you skip that,then the crispness will be missing. Today I prepare this snacks for evening tea time.. it came out well.. I also added sweet corn along with the veggies… tasted very well.. thanks for posting this recipe..
Today I prepared this cutlet for the evening tea time.. it came out very well.. thanks for posting this recipe.. Prepared cutlets for evening snack. Came out very well. 🙂 Thank you.. for posting very simple.. easy to make receipe. 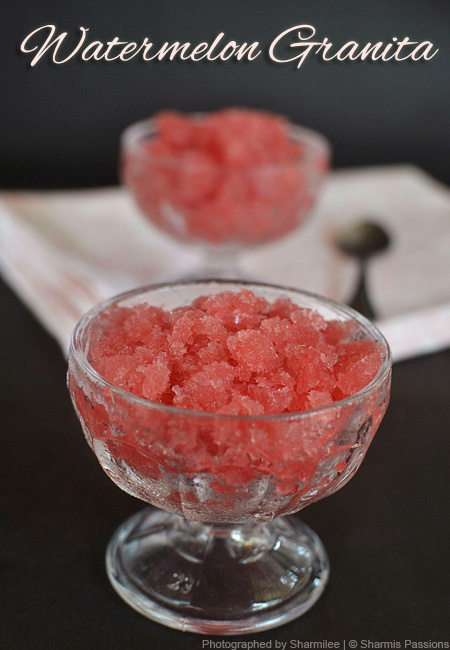 I want to make some and freeze them for my daughter's school snack. Can I just make the whole cutlet ,freeze and thaw it before use or do I just make the balls and then toast it in breadcrumb before packing lunch? thanks for this recipe. i have a question. what substitute can i use for breadcrumbs? Any alternative for maida? 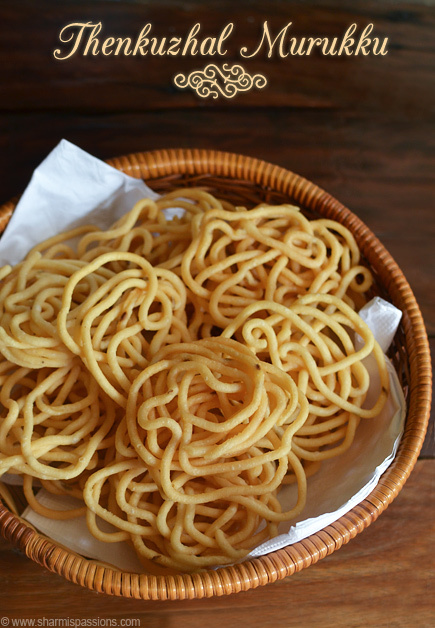 Can i use besan flour? 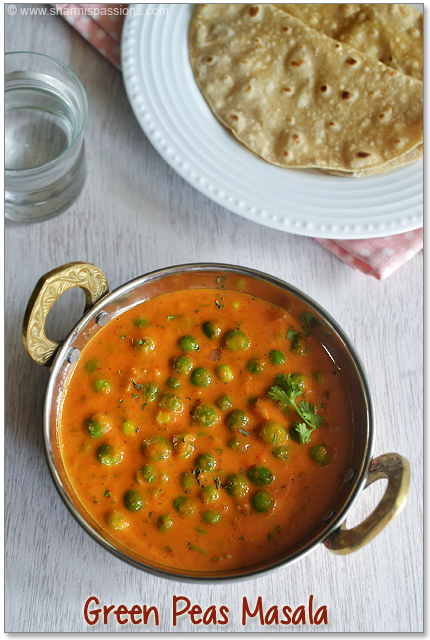 Hi..Sterday eve i tried tis recipe by followng ur steps.I dont know to cook properly n tawa. Adding beetroot to the veggies gives a very nice colour.